One of the most interesting things about people is the kinds of fears they have. Some people are afraid of heights while others are afraid of spiders. Though it may seem irrational to some, every person is unique in that way. One fear that many people share is a fear of the dentist. They may not like the sounds or equipment associated with a dental visit, and it can prevent them from having the dental work they need done. For those who have a fear of the dentist, Dr. Angela Ruff is able to put their fears to rest by offering sedation dentistry to her patients. We have a few options for our patients when it comes to which sedation they would prefer. The first is nitrous oxide, also known as laughing gas. With this form of sedation, we simply put a mask over your nose, and you breathe in an oxygen and nitrous oxide mixture. This will be able to relax you, and you will not feel any pain. The effect of the sedation goes away once the mask is removed, so you are free to go about your day. The second option we have is oral sedation, which involves taking a series of pills prior to your appointment. You will remain awake while your dental work is being performed, and will experience deep relaxation. You will need to have a trusted love one bring you home after your appointment, as the effects of the sedation will still be active. 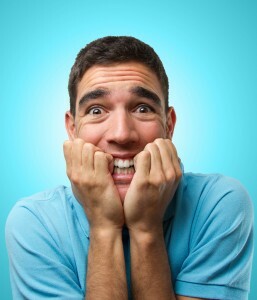 We also offer IV sedation for our patients that experience severe anxiety when at a dentist’s office. We will administer the right amount of sedation according to your anxiety level, all the while keeping your physical safety in mind. When you are under the effects of the sedation, we will closely monitor your blood pressure, breathing, and heart rate. If you feel as though you can benefit from sedation dentistry, contact Dr. Ruff and schedule a consultation. We want to make sure you are as comfortable as possible when visiting our office, and we would love to help!